Discussion in 'Cars in General' started by GTPNewsWire, Aug 26, 2017. This article was published by Joe Donaldson (@Joey D) on August 26th, 2017 in the Car Culture category. Lord Kacperov and ryzno like this. I wouldn't mind watching May do a solo show. I actually find him quite entertaining. Lord Kacperov and J24681357 like this. May actually has done a solo show, IIRC it's a short 3-part series called "James May's Cars of the People" or something close to that. Qualified on the curly hair bit at least. Lord Kacperov, ryzno and J24681357 like this. Ten bucks says it goes to one of those "internet personalities" nobody's ever heard of. If they do go for internet people, personally - in keeping with the presenters being an all-british cast - I'd nominate either IntoTheBarrier or mr. FailRace himself. He's done a few shows in fairness, one was about toys from his childhood made big, like running an electric model train from one town to another. He also made something huge out of lego IIRC. I wonder if Amazon are serious about this apparent open invitation? Tiff would sit quite nicely in for Jeremy I think. I wouldn't mind May either, doing solo. May also had a show where he would put things back together in a small workshop. With his useless knowledge on old things. It made the show quite interesting at least for me. Why not Jason Dawe (he presented the first series of Top Gear, before James May replaced him in series 2)? He's a bit of a personality vacuum, which is probably why he only lasted that first series. However, I think it's probably misleading Amazon posting an actual job ad. Whoever gets the spot will probably already be a big-name presenter elsewhere - it's not going to go to some random off the internet/person who has learned everything they know about cars from Top Gear. Lord Kacperov, Doomotron and Tyger like this. Lord Kacperov, daan and RaY29rus like this. PS: What you said about him lasting a series is partly false, Clarkson wanted May from the start but May was question if the show was going to be a success, and if it was, he'd join. It was a success so they replaced Dawe. Dawe was only really a filler. Lord Kacperov and Doomotron like this. I was thinking that actually, he'd fit the bill rather nicely as his persona is quite similar to Jeremy (though he doesn't have the curly hair or obsession with dodgy denim ), and all of them have gotten on well with Tiff over the years from what I could tell, plus he's always been all round sound guy; and a very capable driver too. Though I'd imagine his work with Fifth Gear would possibly stop it from happening, though that's me assuming Fifth Gear is still about, as I haven't heard much since it's recent reboot couple of years ago. Lord Kacperov and Tyger like this. Take our the hair and twitter followers bit and I'm in! I'm pretty sure that Fifth Gear was axed a few years ago. Well after a brief read up about it, since I was curious to it's whereabouts, your right, only it's been axed for the 2nd time since May of last year as the funding seemed to have dried up. 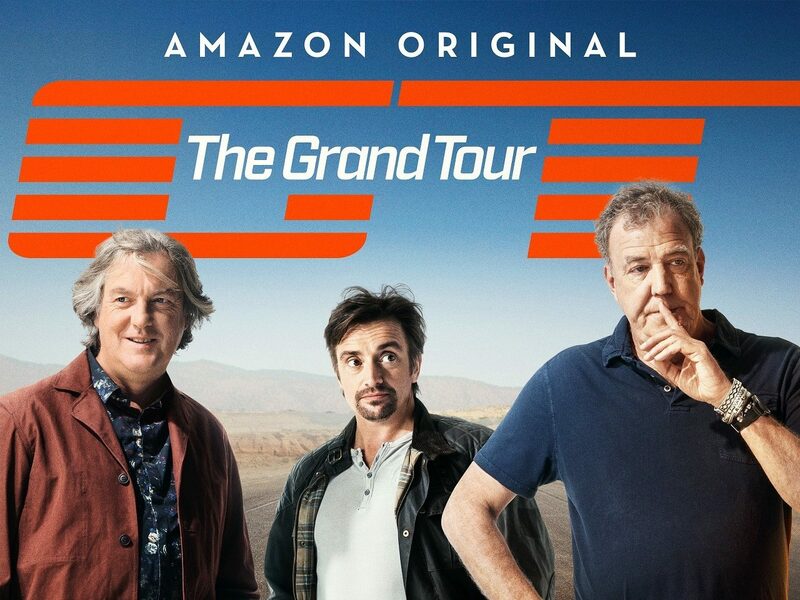 Shame really, it was a neat show, a rather enjoyable and perhaps somewhat more informative alternative to Top Gear.